Juanita Leon, founder of La Silla Vacia. ISOJ photo. 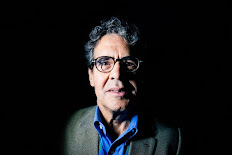 Three of those who have evolved and survived for at least five years are La Silla Vacia, a political website in Colombia, Homicide Watch, a news and data platform in three U.S. cities, and Texas Tribune, a news site focused on Texas civic life. Maness moderated a panel in which the editors told their stories at the International Symposium on Online Journalism April 5 at the Knight Center for Digital Journalism in the Americas in Austin, Texas. 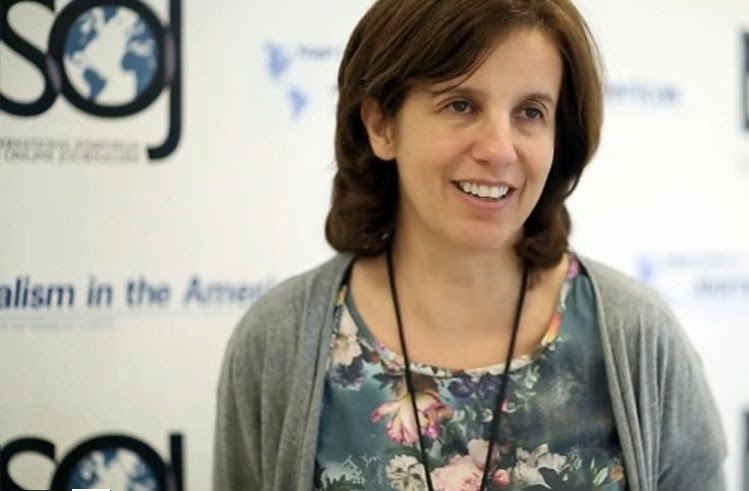 Juanita Leon, founder and publisher of La Silla Vacia (“the Empty Chair”), said that her team of four journalists aims to cover how political and business power make themselves felt in Colombia. They have experimented with new story forms and databases, such as one that traces connections among powerful families and political figures. They have had many scoops, won international awards, and had impact far beyond the newsroom. A national survey of opinion leaders showed it is the third-most read website in the country. The 550 "Super Amigos" in 2013 contributed US $32,000, almost enough money to finance their operations for a month. The appeal is to people who want to support independent journalism. Laura Amico, CEO and founder of Homicide Watch D.C., has a similar story of living close to the edge financially to keep her entrepreneurial venture going. “We have been bootstrapped from Day One. We have never had investors. We are paying our bills and making it,” she told me in an interview. Her original idea was to understand her neighborhood better by investigating how it is affected by violence and how the criminal justice system functions. She decided to track every homicide case through the D.C. justice system, from the perspective of the victims, the suspects, the investigators, the prosecutors, and the convicted. A year ago she and her husband moved to Boston so she could study at Harvard on a Nieman-Berkman Fellowship. With Laura gone, who would run Homicide Watch? They ran a Kickstarter campaign that raised $47,000 to pay a staff of student interns to keep the operation going. She now is using the site as a platform to train young journalists to cover the criminal justice system. 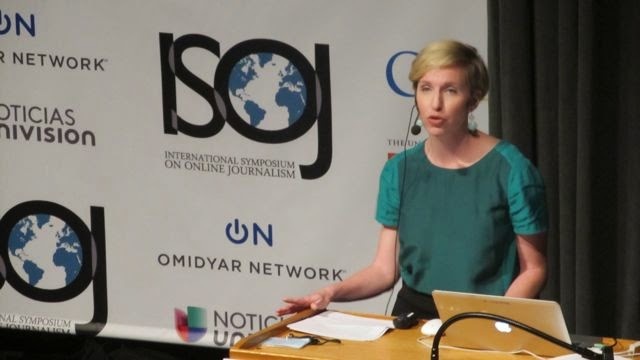 She and her husband are now expanding their concept of structured journalism coverage to education, with the help of WBUR in Boston, the Knight Foundation and the Boston Foundation, as described here in NiemanLab. Emily Ramshaw, editor of Texas Tribune. “From the beginning we have focused on data that would be searchable,” she said. They started with a database of public employee salaries, which was tremendously popular. They have since expanded the data offerings to include information on public schools, water usage, lobbyists and campaign finance. The data drives much of the traffic to the website. Texas Tribune had 570,000 unique visitors and 3.1 million page views in February. The audience is 91% college graduates; 51% have an advanced degree and 52% have income of $100,000 or more. The publication also runs free breakfasts around the state in which public officials are interviewed by the Trib’s reporters and editors. “We believe events are news and are journalism,” Ramshaw said. "We believe our readers and users should be in the same room with the people who represent them." The next innovations include newsletters focused on particular topics such as water usage, public education, and possibly transportation. The key is to keep evolving.